This keto chocolate and avocado tart may just be the most decadent, delicious keto dessert out there. 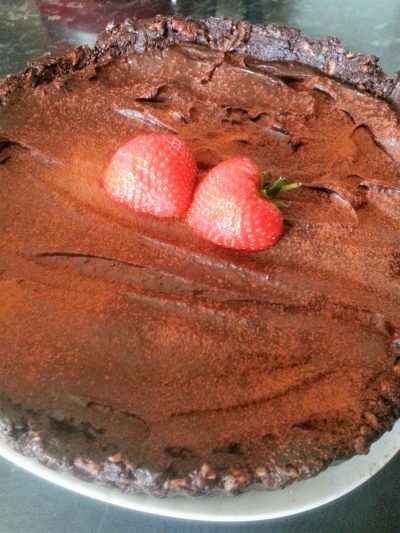 Made from 2 whole avocados and rich raw cacao powder, this tart is creamy, buttery and chocolaty with a slight apple aftertaste from the avocados. It’s delicious. 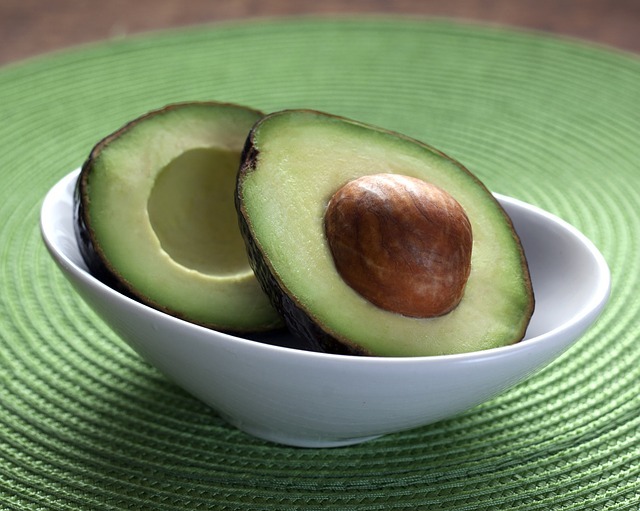 I love the flexibility of avocados. They can be used for any meal and both sweet and savoury options. This recipe is one of the few sweet ones I use. I hope you love it too! Preheat the oven to 180c/350f with a wire rack in the very center of the oven. Coat a 9” springform pan with coconut oil or butter. In a food processor combine the coconut flakes, almond flour and the salt. Pulse it gently until it looks like bread crumbs. Add the sweetener and the melted butter and a pinch of salt. Pulse again until it looks like wet sand. Pour the mixture into the springform pan and pat into place making sure to cover the pan evenly. Press down with your finger or with the bottom of a flat glass. Bake the crust for roughly 15 minutes (you’ll have to watch it!) or until it’s lightly golden brown. Remove from the oven and allow to cool for 15 minutes. Transfer to the freezer for another 15 minutes to harden the melted butter. While this is cooling combine all the ingredients for the filling in the food processor. Don’t worry about cleaning it if there are crust crumbs in there, it’s all good! Scrape down between pulses and watch for any lumps! Taste the mix and adjust sweetness as needed. Garnish with whipped cream and cacao powder or if your carb allowance allows it have some strawberries.